Proofreading is the final stage of editing, and quite a challenge. No matter how many times you have read your book, there is always something that sneaks past. Proofreading your book should help you spot any typos, spelling and grammatical errors that have slipped through the net before it is published. A proofread book is more likely to be taken seriously, so if you have trouble, ask a friend to help you. Don’t underestimate how long this will take. Even if you are a very fast reader, proofreading is an entirely different process which requires intense concentration and should not be confused with reading for pleasure! Before Proofreading, read our advice on editing your book. We’ve expanded these tips in our article focusing on proofreading tips for self-publishers. 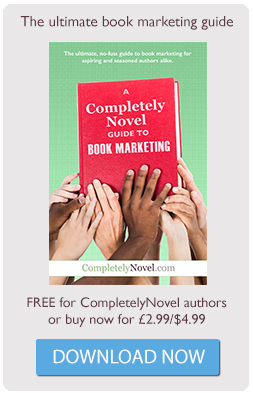 CompletelyNovel lets you order proof copies of your book at cost price. We recommend you do this before you make your book public on CompletelyNovel, or submit it for distribution to retailers. This option is available once you complete the book creator and you can order as many copies as you like. Sometimes you can be so focused on the main body of the book that you forget the words that make up the book as a whole. Give yourself plenty of time to proofread the cover (front, back and spine) and the title, copyright, contents and dedication pages inside. Don’t forget all the marketing material, too. The blurb or description that you have written needs to be perfect. Are these positioned correctly and are they consistent? Make sure you haven’t missed anything out. These should be very high quality (at least 300dpi if you can). Again, bear in mind that consistency tends to be a sign of professional work, so there should be a method to where you place them. Is your book fit for publishing? Take the ‘Get Your Book Fit’ online course and find out. For a quick and effective course in proofreading your book, read our top ten tips here. If you’d like some help proofreading and would like a recommendation, please see our People We Trust page.